In 597AD, St Augustine arrived on England's Isle of Thanet upon the instructions of Pope Gregory to bring the good news of Christianity to Kent, as Queen Bertha was already a committed Christian. And so across the centuries, as people come and make their pilgrimage across Kent, they can visit and hear the stories of local people and their influence upon history across the generations. St Augustine’s Cross, near Cliffsend, is a marker and testimony to Augustine’s arrival. Kent has a long history of pilgrimage and of its shrines, and has 33 saints associated across the communities. At the heart of the County is the Cathedral, which is both a holy place and a World Heritage Site along with the modest church of St Martin (the oldest church in England) and the ruins of the Abbey of St Augustine. 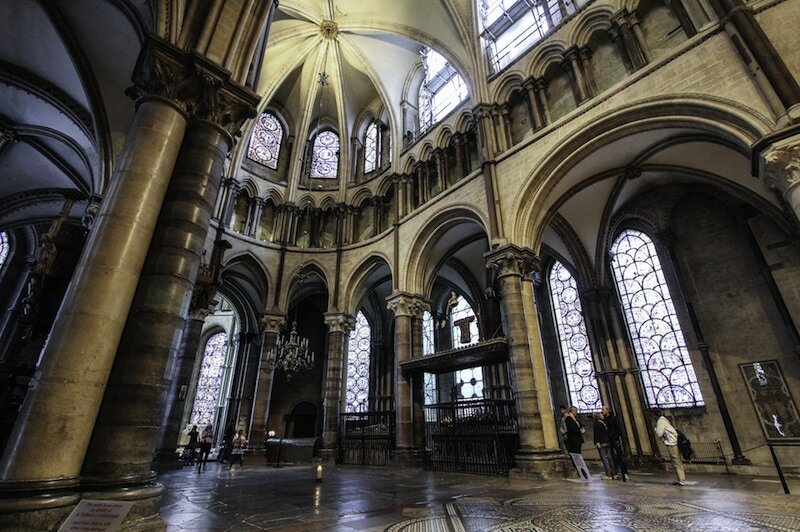 The most visited is the shrine of Thomas Becket, who was murdered in the Cathedral in the 12th century AD. Miracles associated with Beckett’s tomb drew pilgrims early on and thousands visit annually to this day. Canterbury is a destination for those who have travelled the Pilgrims’ Way, the ancient Pilgrim paths from Winchester, Rochester and Southwark. ​Canterbury is often the starting point for those en route to European Pilgrimage sites such as Santiago de Compostela in Spain and the Via Francigena to Rome, and Canterbury is developing these links further as part of its Green Pilgrimage activities. 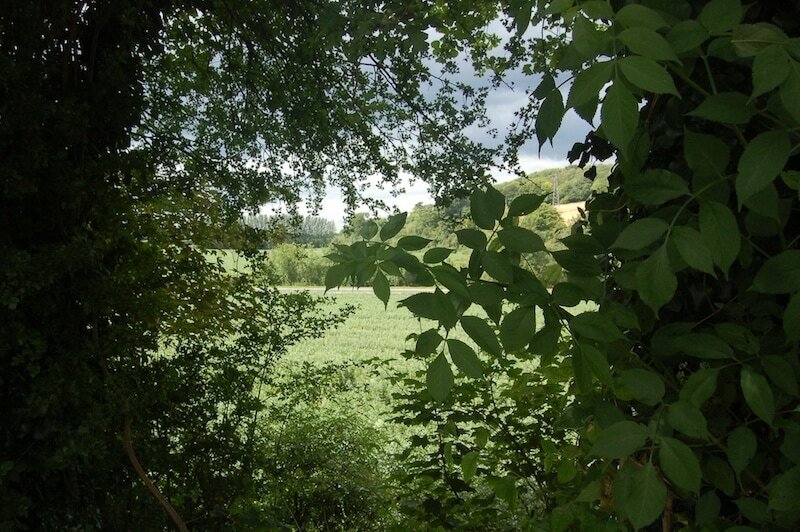 The European Green Pilgrimage Network is convened and housed by the Diocese of Canterbury. 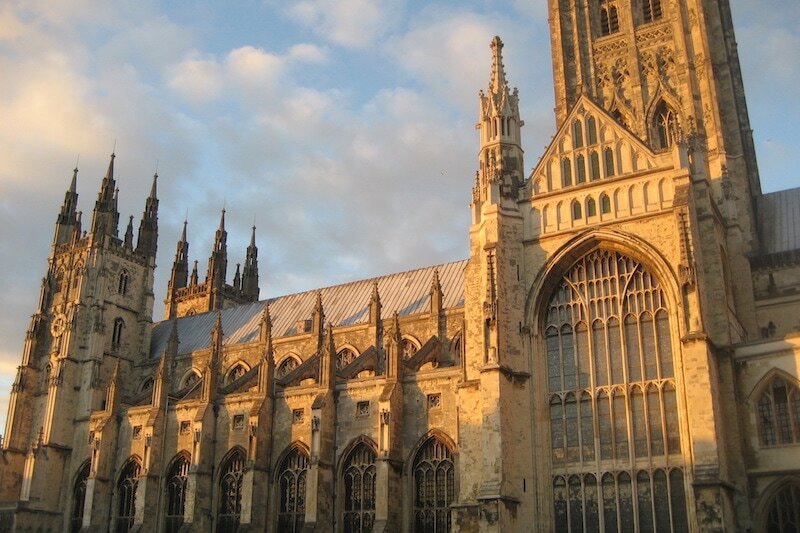 ​organisations that can contribute to greening the pilgrim experience in Canterbury and the Diocese. The GPN Canterbury Partnership was launched in October 2014 with the aim of promoting the wealth of activities taking place in the Diocese and supporting initiatives that make use of the pilgrimage routes. It is also rediscovering lost routes such as the Way of St Augustine, launched in 2015. This is a marked 19-mile (30km) footpath from St Augustine’s Shrine, Ramsgate, to Canterbury (www.explorekent.org/​activities/​the-way-of-st-augustine). The GPN Canterbury Diocese has developed in partnership the Way of St Augustine (from Canterbury to Ramsgate), the Way of St Jude (from Aylesford Priory to the Shrine in Faversham) and a route of Kentish Saints, such as St Eanswythe, connecting from east to west Minster in Thanet, Minster in Sheppey, Lyminge and Folkestone. 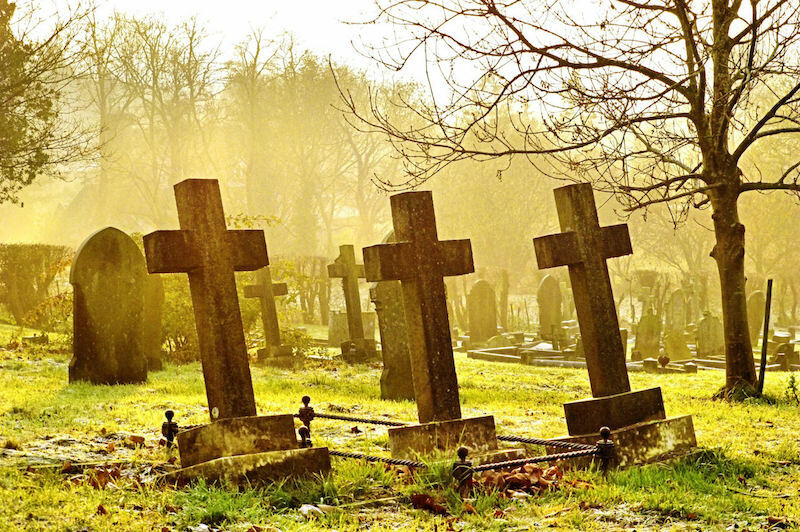 The Diocese convenes the Kent God's Acre Project wildlife churchyard which, together with 15 partner organisations, works to protect and expand the biodiversity of the county of Kent. The Diocese is also working with Kent Wildlife Trust and Kent Bat Group to enable and facilitate local communities and volunteers. 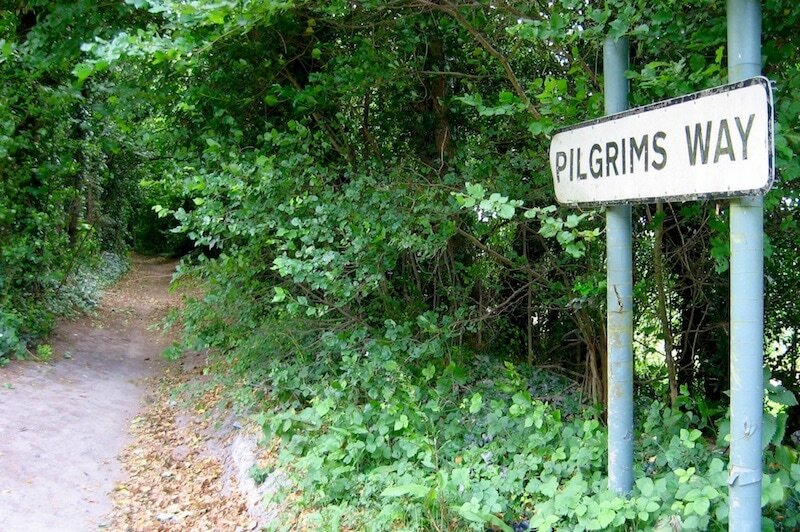 The 119-mile (192km) route from Winchester to Canterbury has been trodden by pilgrims for more than a thousand years but the origins of the pathway date back much earlier, to 1800-1400BC. The route was probably used for trade but after the death of St Augustine of Canterbury in 604, pilgrims started coming to venerate his remains at the Great Abbey. Canterbury also became an important stop for pilgrims making the long journey to Rome. 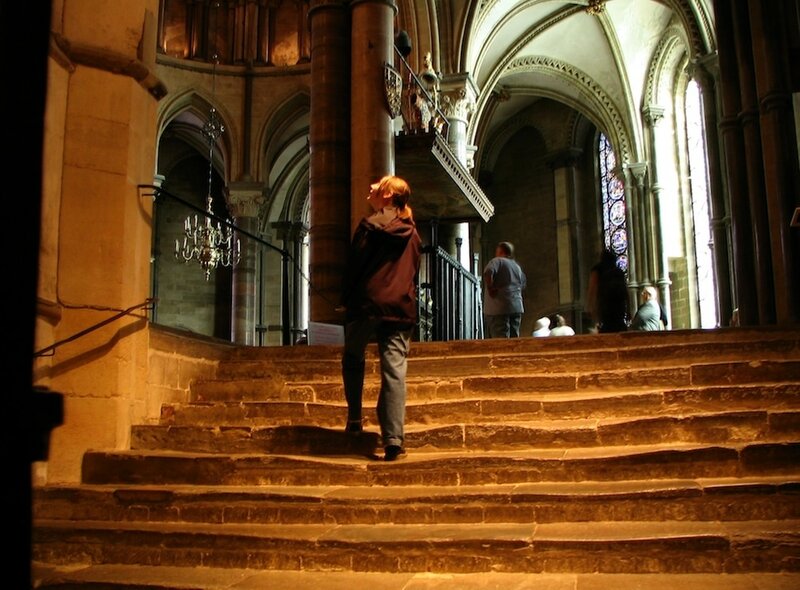 After Thomas Becket was canonised in 1173, his shrine at Canterbury Cathedral became the most important in the UK. According to Christopher John Wright, author of A Guide to the Pilgrims' Way, Canterbury was 'after Rome... the chief shrine in Christendom', and drew pilgrims from far and wide. Henry II is also said to travelled this route – as part of his pilgrimage for atonement for the murder of Thomas Becket. 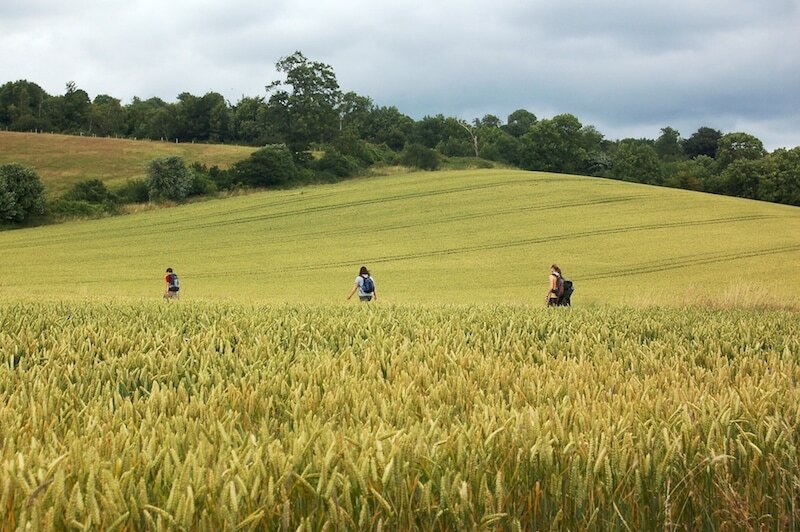 For more on the history of the Pilgrim's Way, visit www.pilgrimswaycanterbury.co.uk and for a map of today's Pilgrim's Way, including details of accommodation, restaurants and points of interest, click here.